It’s nice to be outside and among nature, especially this time of year. For urban residents, access to nature is particularly important because it’s not as easy to come by. 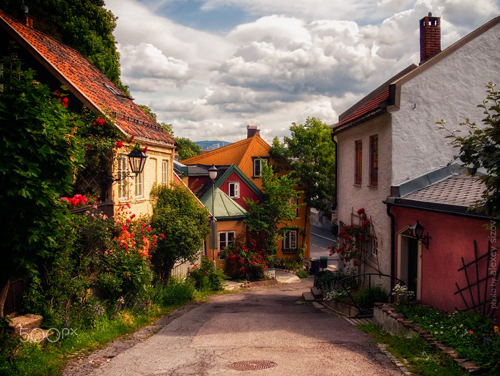 And the way we provide nature in cities is through true parks, not greenspace. 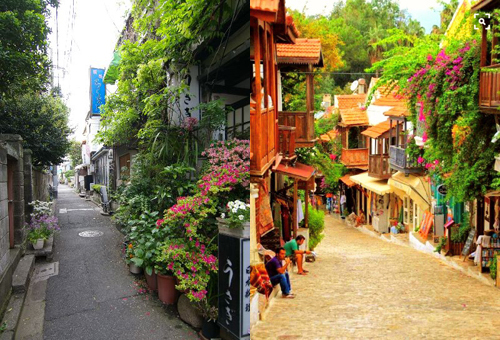 Nezu district, Tokyo, Japan on the left and Kas, Turkey on the right. It is important for urban residents who lack yards or porches to have places where they can go if they want to sit outside to read a book, eat lunch, throw a ball, run around with their dog, or just enjoy the weather. You cannot do these things on the greenspace between McDonald’s and Best Buy. 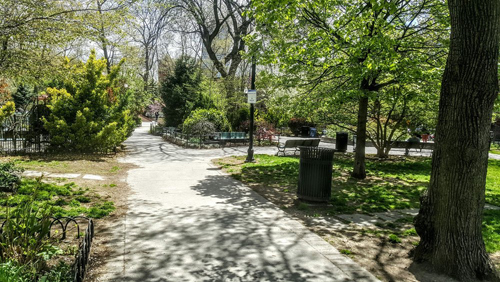 The easiest way to tell the difference between a park and greenspace is that a park is important enough that we give it a name – which usually includes the word ‘park’. 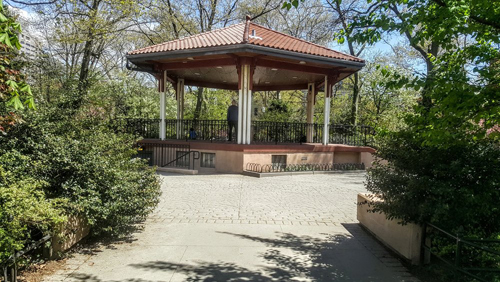 Let’s look at one such park – Van Vorst Park in Jersey City, NJ. 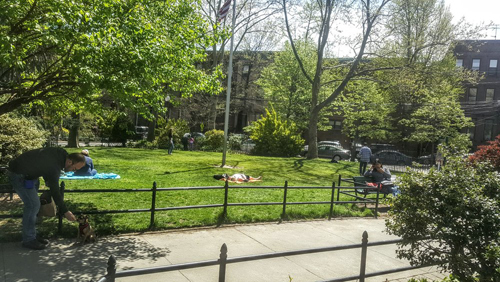 Although activity in a park fluctuates as good weather comes and goes, I think the greatest influence of activity is the ratio of residents to park space. Too little park space, and either the parks become too crowded, or residents simply do not have a park to go to. Too much park space, and we have too little activity to fill it all with. 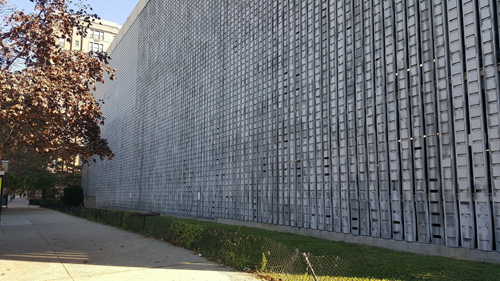 The only thing worse than not having a neighborhood park is having a dead neighborhood park that lacks the natural surveillance of passersby, creating an environment where unsavory activity can flourish. 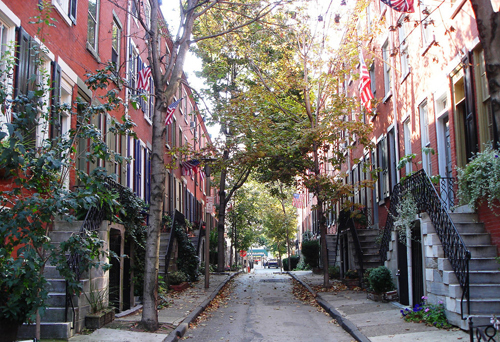 Dead parks can ruin a neighborhood’s reputation and make it unsafe. While we do not want our cities to be crowded, too much open space without enough activity to fill it with is bad for a city. 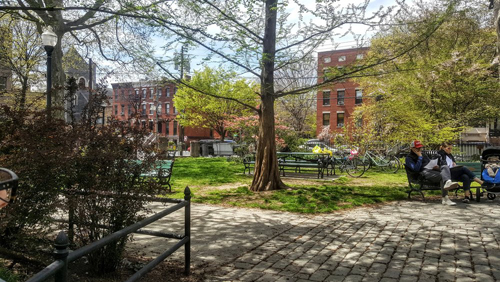 Van Vorst Park works because it is relatively isolated from other nearby parks, making it the main park for neighborhood residents. 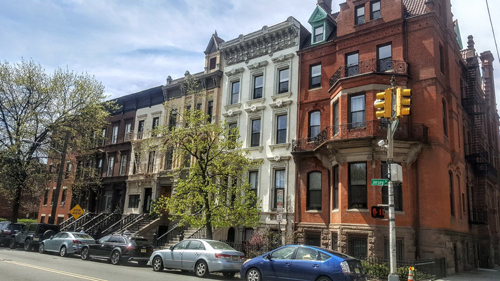 The next nearest neighborhood park is Hamilton Park, which is a 15 minute (0.7 mile) walk – some twelve blocks of apartments, row houses, and businesses dividing them. 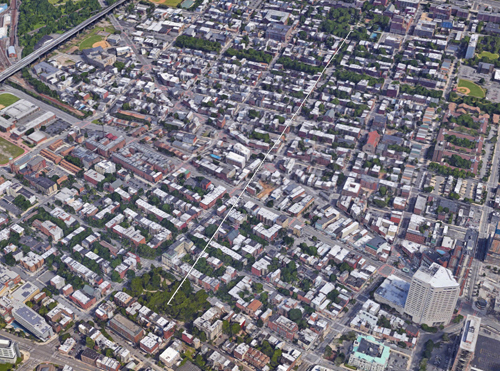 These neighborhoods have a population density hovering around 27,000 people per square mile. Parks need to be interesting to attract activity, otherwise people will simply spend their time elsewhere or stay at home. An interesting park is filled with variety and intricate details to capture our interest and reward exploration. 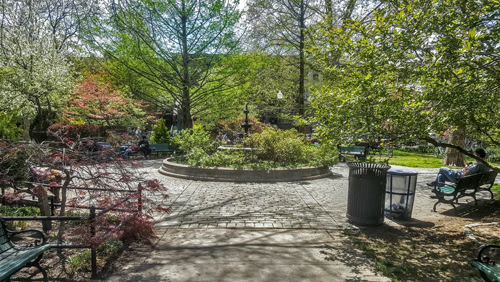 Van Vorst Park is divided into several outdoor “rooms.” In one area, you will encounter a fountain surrounded by benches, and from the benches you can listen to the sounds of the flowing water while watching the birds bathe themselves and drink from one of the small bird baths. Behind that is a grassy area with a picnic bench – enough room for a family to grill and the kids to run around. Follow the paved pathway as it curves around different varieties of bushes and trees, and it will lead you to an enclosed dog area where some owners are running around with their dogs, while other owners are standing at the side and socializing with each other. Follow the path a little more and eventually you will reach a gazebo with children running up and down the steps. A little further and you will reach an enclosed playground next to another open lawn. The lawn is not perfectly mowed, but these imperfections add character, just as the varying shades of feathers on a bird add character. The variety of different settings that a park provides are important to hold the interest of park users. A park that is simply an open rectangle of lawn or otherwise minimally decorated offers nothing to capture your attention and nothing to explore, and thus no reason to stay. Interesting features don’t have to cost a lot of money: benches, flowers, and public art go a long way toward making a place appealing. In conclusion, a great park has enough activity to feel safe under the constant surveillance of other adults without being crowded so that you can’t find a bench to sit on or an open to area to lay down in. And a great park offers variety and interest. It’s a place where people want to spend their leisure time. Rather than patting ourselves on the back about all the greenspace in our neighborhoods, let’s strive for something more productive and beneficial for everyone—great parks. Andrew has been a regular contributor to Strong Towns since 2013 and is a founding member of the organization. Andrew is a software developer by day and an urbanist by night. He is passionate about traditional urbanism – he believes in fine-grained, highly walkable places that are built for people. Andrew grew up in Australia and now lives in the Hoboken, New Jersey with his wife. 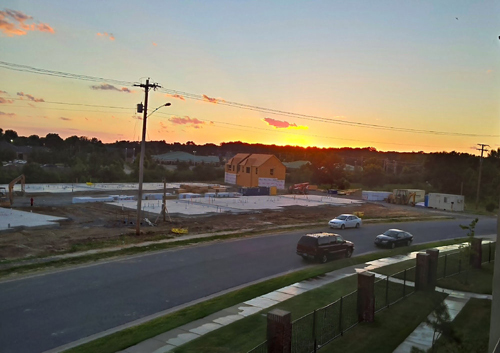 Andrew’s motivation is to create a great place that he and his wife, and one day their children and their future generations will want to call home.